This 7 meter (23 foot) high-quality Plenum approved fiber optic cable is 100 gigabit rated MTP / MTP (MPO). It features 24 fiber strands with a Yellow colored jacket. Plenum cable is jacketed with a fire-retardant plastic jacket of either a low-smoke polyvinyl chloride (PVC) or a fluorinated ethylene polymer (FEP). Local building codes may require all cables run inside the walls or ceiling be Plenum rated. Singlemode cables can come with many different fiber optic connector types. This particular 100 gigabit Singlemode fiber optic cable offers MTP connectors, and has a 9/125 micron core. MTP is a perfect solution cable. It can bridge over older legacy 1G/10G networks to the 40G/100G networks. By using a MTP to LC breakout cable you can connect 12LC connections to single MTP device. 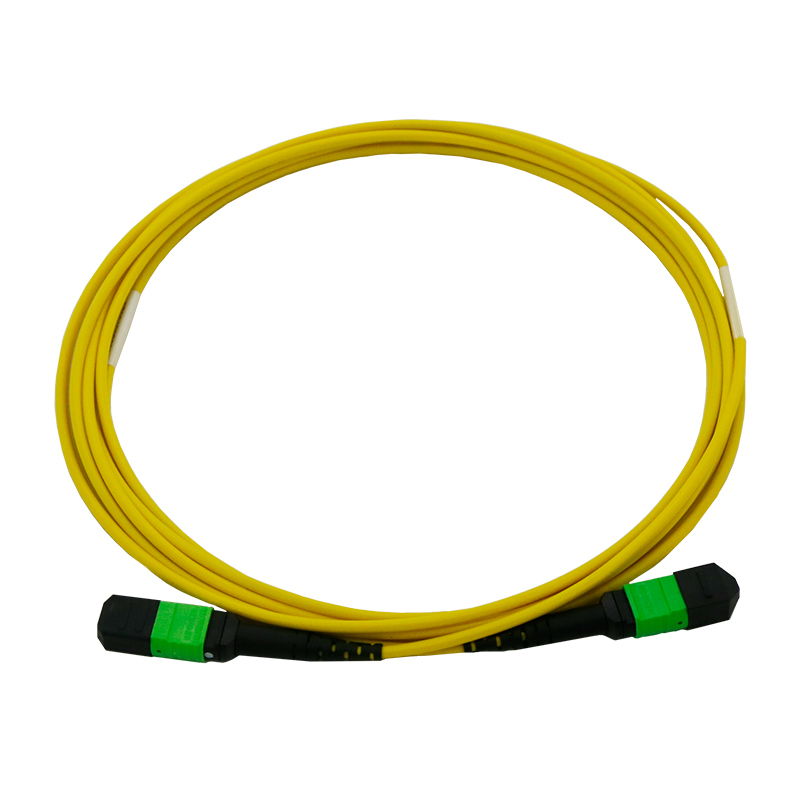 You can also use the 24 strand MTP cable as a trunk line on the backbone of your network. As you can run a single cable to connect 12 devices the higher density is perfect to condense the amount of cables you need to run, also saving on installation labor.